The crew in front of Flagler College. 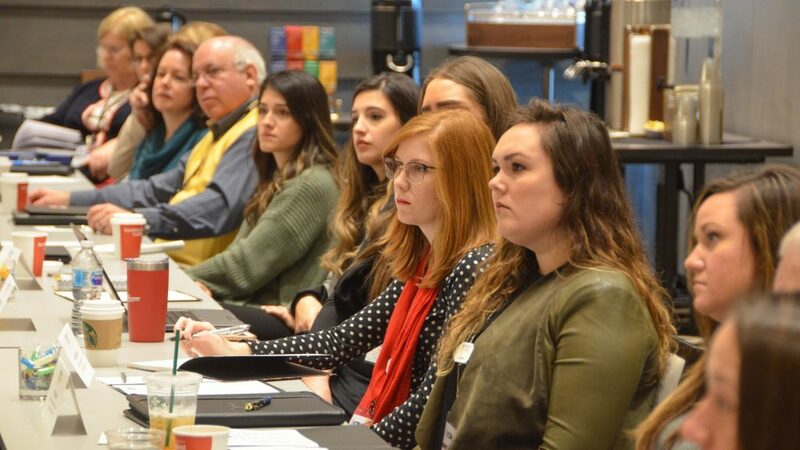 Members of the Counselors’ Network (CN) and LeadershipFPRA enjoyed two full days of professional development with the Counselors’ Network Winter Symposium held in St. Augustine on January 24-26, 2019. On the first day, City of Las Vegas Communications Director David Riggleman shared the many challenges he and his team faced during the Las Vegas mass shooting on October 1, 2017. Riggleman told the group everyone in Las Vegas was impacted in some way by the shooting. His team overcame multiple communications issues while dealing with exhaustion and emotional trauma. 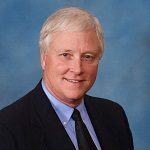 The group also heard from former FPRA State President Mickey Nall, APR, CPRC, PRSA Fellow, about influencer engagement. Nall helped attendees think about using this paid public relations strategy to get desired results. 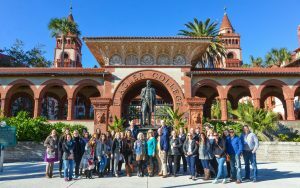 In the afternoon, participants toured historic Flagler College, which was built by Henry Flagler as the Ponce De Leon Hotel with beautiful Tiffany glass throughout. 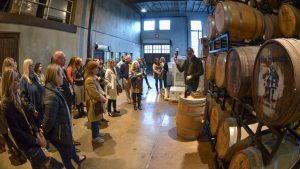 They then heard from the owner of the St. Augustine Distillery about the challenges he faces with his startup company. 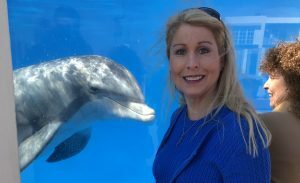 On Saturday, the group received a behind-the-scenes tour of Marineland Dolphin Adventure. Marineland historian Terran McGinnis showed the group the many transformations the 80-year-old facility experienced. CN members had the opportunity to pose for photos in front of a dolphin tank and got lots of cooperation from the friendly sea mammals. To wrap up the conference, the group visited the University of Florida Whitney Laboratory for Marine Bioscience. Senior Director of Advancement Jessica Long presented the history of the laboratory and their efforts to brand the facility to increase its visibility. Participants toured the sea turtle hospital and learned about breakthrough surgery to remove tumors from juvenile green sea turtles. The goal of the science conducted at the Whitney Lab is to benefit humans in the future.